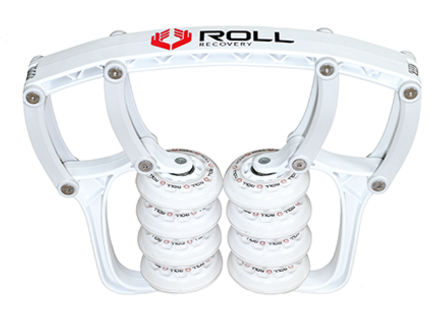 If you are a runner, you have probably heard about a new company that recently broke into the running realm - ROLL Recovery. Their mission is to bring thoughtfully designed products to the market to keep endurance athletes moving (sounds right up our alley, right?!). With that said, I haven't been able to try out the R8 (named for the number of rollers on the apparatus), but was sent an R3 to give a whirl. 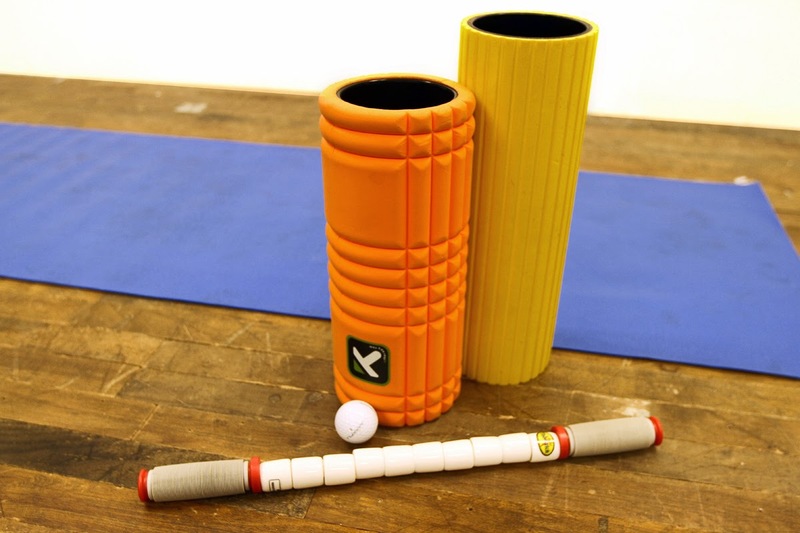 Now, the R3 is not a roller for your legs (although you could technically use it as one), but is specifically designed to tackle Plantar Fasciitis. Knock on wood, but I have been blessed to not have to deal with PF thus far in my running career (PRAISE THE LORD because from people who I've talked to that have dealt with it, it sounds like it's the PITS!). Even still, I knew that this foot roller would come in handy. If you've been around these parts of the Interwebs a while, you know I take my recovery pretty seriously (especially since when I started running I had a flare up from an angry IT Band due to never cross training, strength training, stretching or rolling). 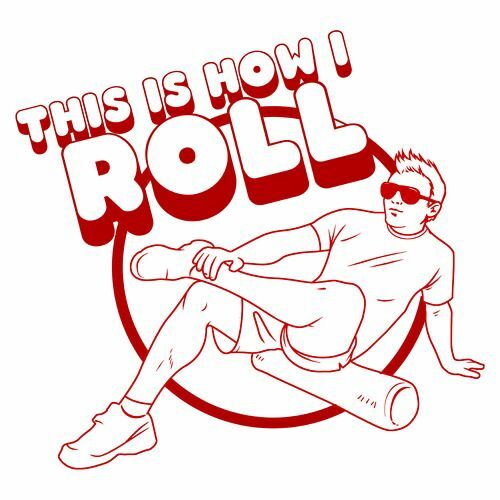 I do my darnedest to foam roll and stretch religiously before bed (if not more often during the day). Well, when I received the R3 I knew my golf ball would be a thing of the past. Like I mentioned, I haven't had to deal with Plantar Fasciitis, but I'd rather be proactive than reactive, so one can never be too careful. The R3 is designed to target specific areas of the foot to stretch the plantar fascia and intrinsic foot muscles to reduce soreness from tired feet. With all of the training I am doing (even though I don't currently have a goal race on the schedule), you better believe that my feet are T-I-R-E-D by the end of the day. The R3 has been a welcomed tool into my recovery routine. I love that you are able to vary the pressure you use based on the day and how your feet feel (although I normally prefer to dig in and really roll the crap out of my body #HurtsSoGood). The harder the surface is that you are rolling on, the stiffer the R3 will feel (I prefer rolling on hardwood or cement over carpet, but that is totally just personal preference). If you are interested in picking up an R8, R3 and StretchMat (because #GoBigOrGoHome), you can use code R8R3SM to save 10% on your package (you also receive free shipping on all orders over $100 from ROLLRecovery.com). And if you don't follow ROLL Recovery on your fave social media platform, add them today to stay in the know! Have you ever dealt with Plantar Fasciitis? How do you care for your feet? I love foot massages and have quite a few things to help! Calf stretching actually helps my arches feel better and so does making sure I have proper support in all my shoes. Keep on rolling Carlee! R3 Orthopedic Foot Roller is one of the best investments I ever made with my money. Works much better than a foam roller or massage stick. . Use it daily on my feet and even as a small body roller.